Firms and tights sagging skin, reduces wrinkles and minimizes the size of pores. Recapture your youthful radiant appearance. 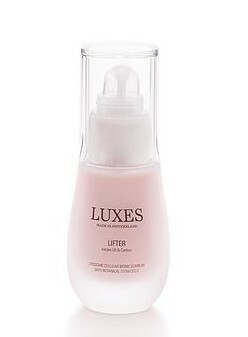 This luminous lifting Bionic Formula contains rejuvenating Plant Stem Cells of Argan tree(a) and Pro Lift FP2-Complex. These high-potency botanical extracts improve elasticity and firmness by producing new fresh skin cells fibroblasts and collagen and elastin structures. The Hyaluron-Collagen Complex and Skinmimmic Lipids reduce fine lines, smooth and effectively moisturize.